Billionaire Bill Ackman’s latest high-rise residential property acquisition is the former home of influential feminist writer Nancy Friday. Ackman wasn’t shy about laying down nearly $23 million for the unit. 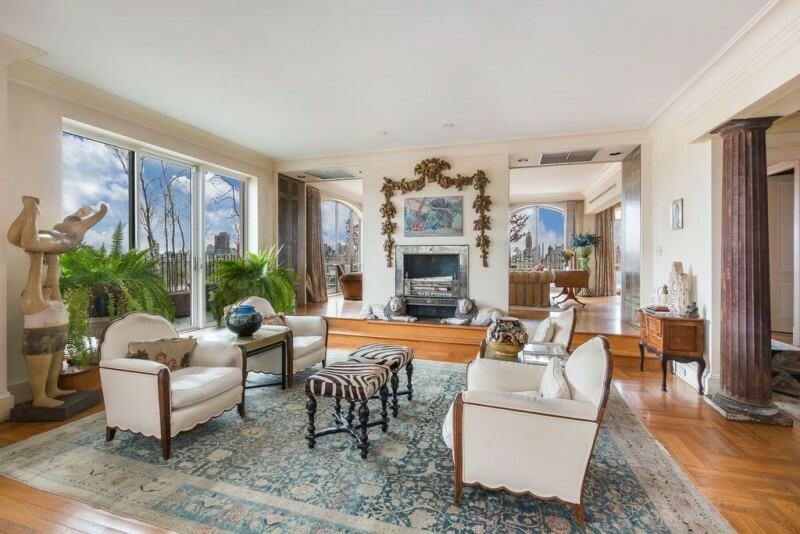 In the past few years Ackman’s been on a run with buying and selling penthouses in Manhattan. In 2015 he set a record when he picked up a top-floor unit in the city’s current upscale high-rise hotspot, One57; the recorded sale price for that modest bit of Gotham domesticity was $91.5 million. The following year Ackman declared he foresaw an eventual five-fold profit for the place, which might be a slightly rosy speculation for his lifetime. Residential Manhattan fashions come and go. Ackman’s latest penthouse investment is on 77th, only a few steps from Central Park, and in a building that dates to 1920. It’s a marvelously warm residence, but the writerly library stands out as absolutely singular. Capped with a barrel ceiling in plank redwood, and embellished with built-ins, shaker-style drawers, and the decorative columns that can be spotted elsewhere in the home, the room is a nifty narrow sanctuary that terminates in dreamy views of city and park. The duplex features inlaid oak floors, fireplaces, a charmingly unpretentious kitchen, and plentiful glass in its 3,200 square feet. It’s a combination of four original units.